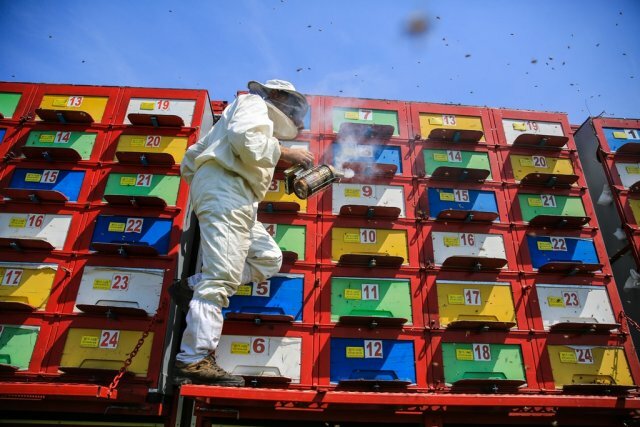 Ibrahim Sancak is a businessman who developed a "mobile beekeeping" system with 192 beehives placed in an articulated lorry. "Mobile beekeeping" system has 192 beehives in an articulated lorry and by this way he can drive it to everywhere of Turkey. Bees can easily make honey from these plants without any damage as it is known that Turkey has wide range of plant species four seasons in a year.